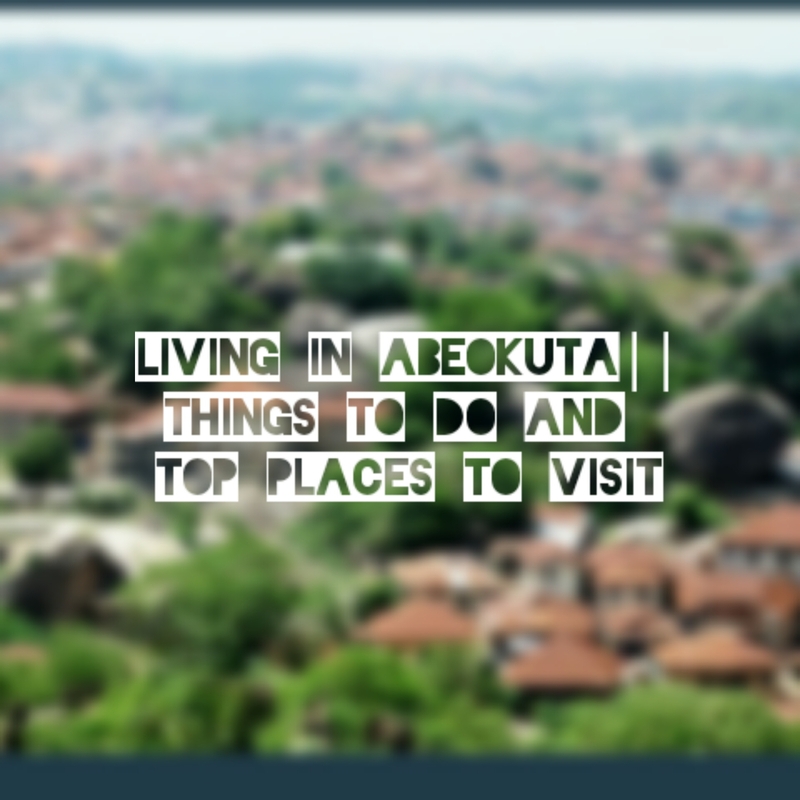 Living In Abeokuta|Things to Do and Top Places To Visit. Currently listening to the sounds coming from my rechargeable fan as electricity is now a scarce commodity. Hi guys, how are you doing? How is this weather treating you? I’m about to melt. This sun is not from this life.. Anyway today’s post is a little different from the usual stuff I do,its mainly because I’m about to die of boredom, this holiday is now becoming a punishment and I know so many cool places but since I’m not allowed to explore I decided to just pour out my favorite spots in Abk here also if anyone has a reason to come over there’s something to do and somewhere to go. I’ve lived here all my life and I can say I know enough. One of my favorite places for ever! Is 1.Sweet Sensation.. I know FFO,but No. There’s just something about abk that its so small, someone will always know someone that knows you. 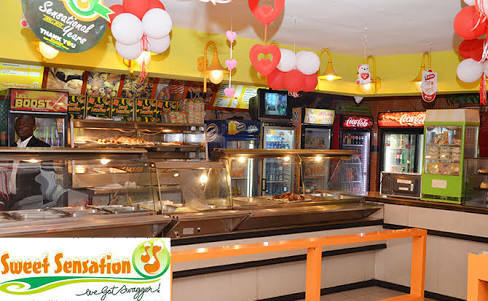 Sweet sensation is like the meeting point of everyone, I can say Everytime I go there I always bump into some I know. It’s crazy. Don’t get me started on the food at S.S, it’s always so delicious. 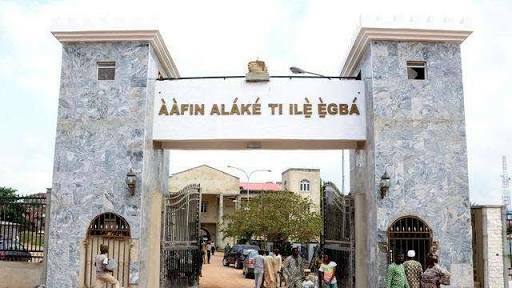 Before you start to say ‘a library?’, Yes it’s a library sorta.. That’s what it’s called but inside there are restaurants, there’s a lake, an amusement park, a cinema, a tie and dye/adire factory, a church, a wild life park, a resort and then the library. Seems like a lot to do right? 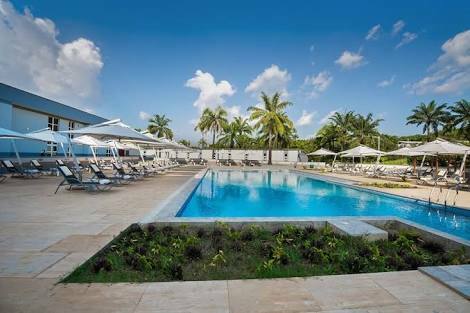 So if you’re visiting and you need a place to stay, this hotel ehn.. Geez! Maybe because they just opened but the place is so fine. It’s really cozy and quiet almost feels like home. 4. 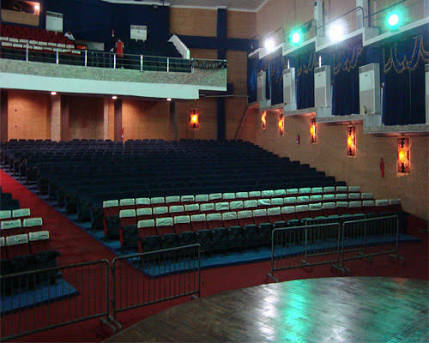 June 12 Cultural Center. Here they have lots of events going on, They have rallies, beauty pagents, seminars, workshops, they organize shows and Concerts occasionally for artists who remember that there’s a place called Abeokuta 😒 and They Also show movies. I remember vividly the first time I watched sound of music was in there. I also remember last independence day Gbenga Adeyinka had a show, lots of celebrities were around too. 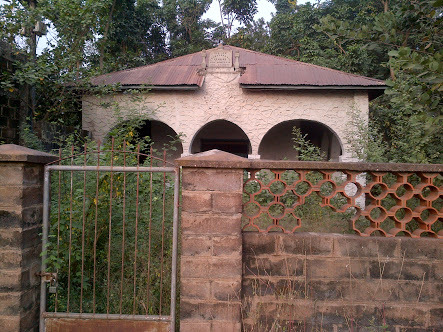 It’s one of the coolest places in Abeokuta. I’m sure you might have been wondering where I was going to bring this up, everyone, even people that don’t live here know Olumo rock. 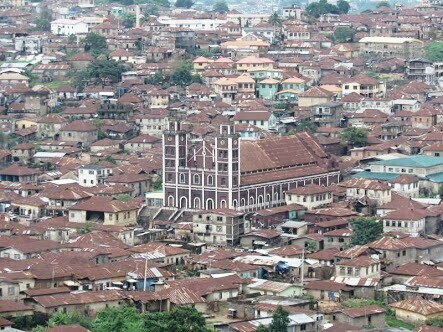 If you can see the church like building in the middle of the town, that’s the first church ever in Abeokuta. 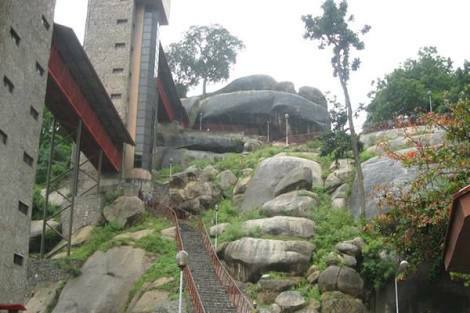 It’s the most visited place in Abeokuta and I don’t blame them,its really a sight to see. Just don’t try to climb the rock alone(I learnt the hard way). There’s a mini art museum in it and a restaurant also a shrine. You can literally see almost the whole of Abeokuta from the top of the rock..Also you get to hear the tale of the rock and how people lived in the rock. I remember some old women still living in the rock, most of them older than 100years.. I don’t know if they are still there though,i feel like they will sha. 3.Sky Pavilion – it’s a club right on top of Chicken Republic just incase. These look like some great places to visit! 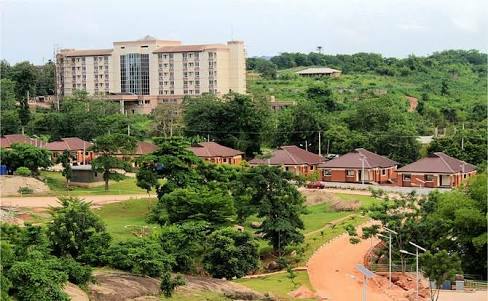 Wow……i never thought for a second that places like these existed in Abeokuta (especially the park inn and the library). Lol……am sorry, its not my fault, its stereotype. At least i know now sha. Look at how you showed off Abeouka so beautifully! Can’t wait to visit. I will visit! Wow! I’m definitely vacationing in Abeokuta sometime soon. Hopefully. Wow! I never knew Abeokuta had this much fun places. 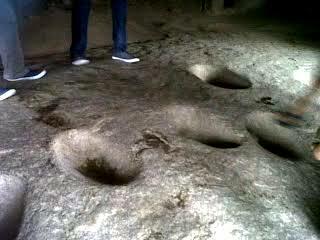 I only know about Olumo rock, I’m definitely going to Abeokuta soon. Thank yoy for the insight. Stayed in Abeokuta for a while but never knew about the library. I stayed at Ibara housing estate. 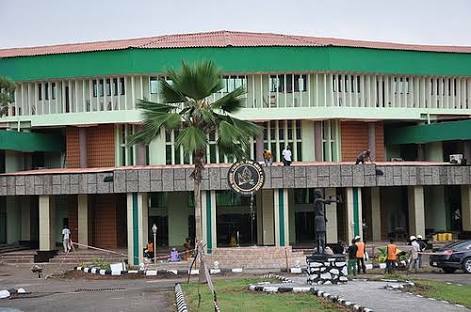 Wow…Abeokuta is really underrated oh, it doesn’t have enough online credit. I schooled in Abeokuta, Crescent University. 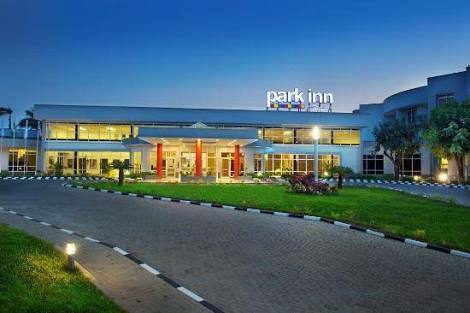 and I stayed in Parkinn on Friday/Saturday, when I went there this weekend, second time staying there, you didn’t mention the rate of which the rooms go lol and how expensive the food is, but they are trying sha. And Obasanjo library is like the pool zone na lol, I love how beautiful it is though there, nice place to take cool pictures, but the food there is overpriced and crap. Yes SS is good, and big treat also, I love the big treat because they follow the recipes to a T, that it’s like going to big treat in Lagos. I also love the Chinese food. Royal Mandarin is the Chinese food bae, I’ve never been there in person, but I used to order food from there, on days where I’m craving something different, back in Crescent. Sky Pavillon isn’t that great, I mean okay it’s not bad, but when I went there I hated the music, it was around when the club was shutting down, that things got lit. I haven’t visited the other places and it’s because when I got the opportunity to I got was busy. Lol.